The new season have just started with every major league in Europe have played two or three match days, and we have our first International break after these game days. Both teams have recently played in Euros and gave their best in the tournament but did not go on to win it as Portugal defeated the home nation in the finals. Robert Martinez is the new coach of BEL, and he will know that Spain is a very strong team and would be very difficult to play even at home. Belgium has a very strong squad as well with talent in every department. Thibaut Courtois is one of the best keepers in the world, and he plays in Chelsea, then they have world-class defenders like Vertonghen, Alderweireld. Their midfield and attack are very dangerous with several talented world class players who can destroy every defense single-handedly. They have players like Lukaku, Eden Hazard, De Bruyn, Mirallas, Fellaini, Mertens, Naingollan and many other. They played well in Euros but lost to Wales in the knockout stages by 3-1. Both teams have played 11 matches till now in which BEL have won three, Spain has won six, and two have been drawn. They last played against each other in the qualification for the 2010 World Cup and SPA won both games by 5-0 and 1-2. Belgium has beaten Spain by 2-1 in 1980 European Championship and hasn’t won against them since. 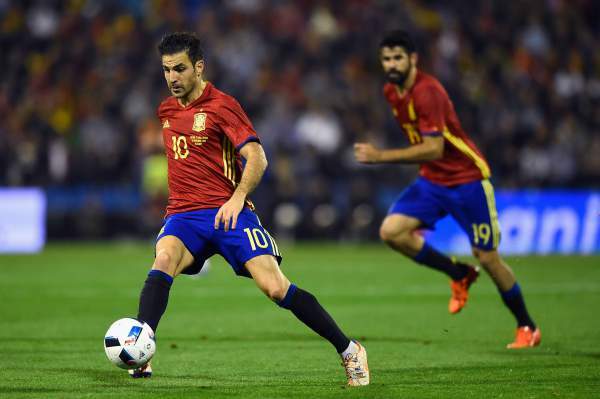 Spain played well in Euros as they won two out of the three games in the group stage, losing to Croatia by 2-1. In the Round of 16, they met Italy and lost the game by 2-0 and were knocked out of the tournament by Conte’s men. They have a very good record against Belgium and would probably want to hold on to that as they haven’t lost to them since 1980. The team is strong and can beat Belgium, but they have lacked passion and needs to improve upon that. Spain has a better record against Belgium, but nothing can be said about this game.